A new unique all-in-one solution for those who want to re-arrange pages in multi-page TIFF files. Tiff Paging can extract the pages you want from your tiff file, i.e. the first 10 ones or every odd\even one. Extracted pages can get new names for easier sorting. Tiff Paging allows you to split a multipage TIFF regardless of page count (i.e. splitting a 40 page TIFF into two files after page 5 is available). On top of that Tiff Paging can merge several split files into one. At the same time you can resize and rotate the pages. It's the most flexible app to re-arrange the pages in your TIFF files. There are two standards of TIFF files: tif and tiff. Choose the one you need and set it the default extension in the main menu of Tiff Paging (File-Options). 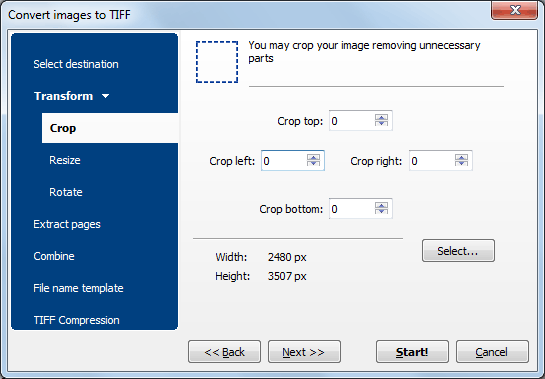 Users may set photometric interpretation and compression level for output TIFF files to make them smaller in size. Apart from TIFF, the app can save your documents in BMP, PNG, JPEG, JPEG2000, GIF, and PXM formats. Tiff Paging is extremely easy-to-use. The well-thought interface helps even a beginner do the job in few seconds. Advanced users will appreciate command line support. 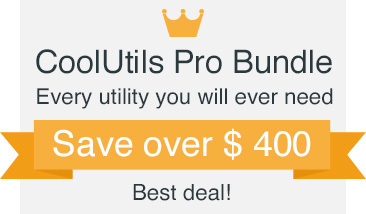 Try it for free (30 days trial period, no limitations) and find out that it is really worth its money. "Congratulations on your dilligent support and very functional application. I will not fail to recommend your products and services to my colleagues in the industry." "Your software is fantastic! I used to extract pages with one program and merge tiff pages with another. Now I have TiffPaging - all-in-one utility that is also so handy and easy-to-use. Thanks!" Laura Dewees Landmark Engr. & Surveying Corp.